-Application Form The Science. How it Works! - Register for your Invitation today! Want to make a difference in people's lives and your own? The Academies training provides you validated tools to not only bring profound change to your client’s lives but also your own..
We provide our graduates the world’s most comprehensive, complete Anti-Aging Practice TOOLKIT to build a successful, profitable practice! How to establish a successful practice and help clients BE YOUNGER, HAPPIER and HEALTHIER! Anti-aging therapy is the next great model of well-being and health care for the new millennium. Nature (our biology) has already solved the engineering problems of self-healing and rejuvenation. Today's cutting-edge aging model (represented by advances in the fields of mind/body medicine, neuropsychology, neuroscience, biology, and neurocoaching) confirm man's ability to physiologically renew himself. The Anti-Aging International Academy (AAIA) is affiliated with NeuroExs (an international Clinic founded by Dr Perry Zeus for the purpose of providing world best-class, scientifically proven, anti-aging treatment programs). The Clinic uses a brain-mind-body approach and a user-friendly, empowering, coaching model of service delivery. Dr Zeus (the Father of Behavioral Coaching and author of several best-selling books) is also the founder of our parent organization the Behavioral Coaching Institute (founded 1994) and its Graduate School of Neuroscience. Today, the School has over 6,000 graduates of distinction from over 60 countries. The worldwide market for anti-aging treatment programs has been booming for the last several years and will continue to do so at an accelerating rate. Meantime, Dr Zeus's private NeuroExs Anti-Aging Clinic simply could not service such a huge, rapidly expanding, global, diverse marketplace. It follows that he established the AAIA to provide a global Certification Course to train highly qualified individuals to help deliver world best-class, anti-aging services in their region. Today the Institute's training school (AAIA) is the world leader in providing internationally recognized, accredited, anti-aging therapy certification. The Anti-Aging International Academy (AAIA) is a dynamic and ever-evolving educational leader in innovation across the anti-aging industry. It offers select professionals a unique career opportunity that is driven by science, quality and reputation. AAIA uniquely provides its students a success-proven, practice model to easily replicate and profit from. Integrating the most cutting-edge and researched scientific trends in the anti-aging industry, AAIA has created a highly functional training course. The pairing of cognitive neuroplasticity and the neurocoaching model has been shown to be the most effective, low-cost method of achieving sustainable whole body and mind change with no-side affects. 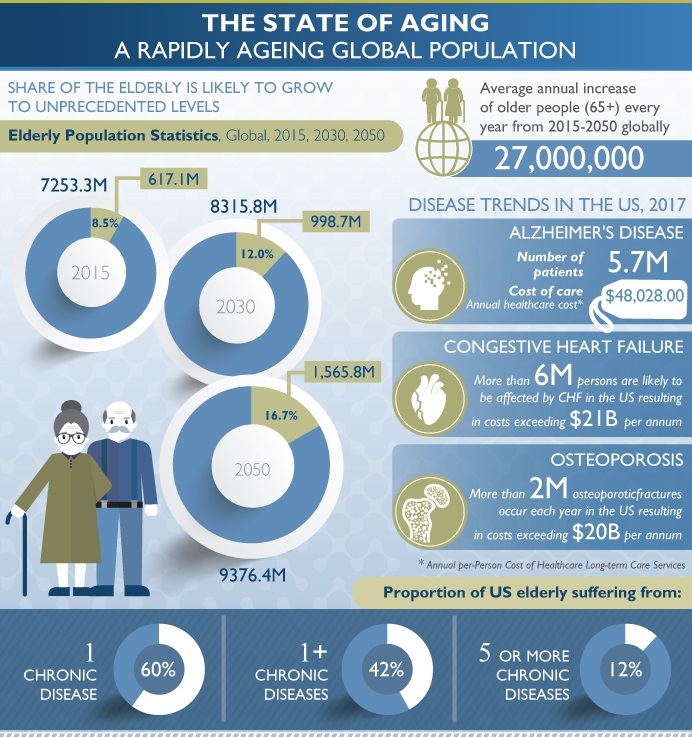 Populations are ageing globally and our elite, Certification Course is designed to produce leaders in the field of ageing who are able to deliver new solutions that help meet the societal shift that is occurring. Ageing is also about opportunity, and this certification program will enhance your ability to recognize and leverage that potential. The Global Anti-Aging Market was worth an estimated $275 billion in 2018 and growing at a current rate of 7.8% a year. The anti-ageing market is observed to be one of the rising markets in today’s world. The global Anti-Aging market is segmented on the basis of demographics into Baby Boomers, Generation X and Generation Y. Based on geography the market is analyzed under various regions namely, North America, Latin America, Europe, Asia-Pacific and Middle-East & Africa. Become an accredited, certified Therapist in the fast-growing field of ageing. Gain the necessary methodology, specialist mind-body toolkit and skills to meet the explosive growth in demand for affordable, proven solutions to longevity. NEWSWIRE, April 24, 2019-- Unlock Your Youth in 15 Minutes: a Science-Backed Anti-Aging Mind-Body Reset Program taught by AAIA. Resetting your Mind-Body Biological Aging Clock has become the trend to follow, popping up on celebrities' social media accounts and quickly becoming a world-wide phenomenon. Anti-aging therapeutic practices are now becoming established across the world through AAIA's world class training and accreditation courses! 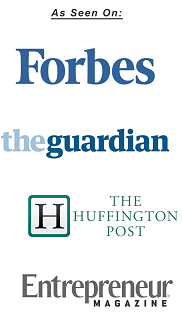 WHY BECOME AN INTERNATIONALLY RECOGNIZED CERTIFIED LONGEVITY THERAPIST? The market opportunity in Aging / Well-Being. -The Emotional, Alienating, Depressing Pain of Aging. Some typical conditions: Feeling -Anxious...Helpless...Sad...Angry...Lost. Victim of emotional swings. Has no plan except access to prescriptions or surgery or cosmetics which just temporarily camouflages the outside of an aging body while the inside is deteriorating. The modern world is in the grip of an aging crisis. More people (from age of 30 to 80) are anxious, depressed and medicated than at any other time in our history. Indicators of despair—depression, suicidal ideation, drug use and alcohol abuse—are rising among Americans in their late 30s and early 40s across most demographic groups, according to new research by Medicine, Health and Society and Public Policy Studies at Vanderbilt University. These findings suggest that the increase in “deaths of despair” observed among middle-aged Baby Boomers (born 1946-1964) in recent studies may begin to impact the youngest members of Generation X (born 1974-1983) more broadly in the years to come. Results suggest that rising despair among the young adult cohort now reaching midlife that cuts across racial/ethnic, educational, and geographic groups may presage rising midlife mortality for these subgroups in the next decade. By 2030, the number of elderly people in Asia will increase by 200 million. Nowhere is the problem of aging as pronounced as it is in Asia. It is estimated that in the next 15 years, $20 trillion will be needed just to support rapidly aging populations in Asian economies. That represents a 71 percent increase in Asia’s elderly population, compared to 55 percent in North America and 31 percent in Europe. One of the keys to health and longevity lies in how our brains learn to culturally perceive the world. The latest research explains why our cultural beliefs are even more powerful than our genes, and demonstrates how these belief systems set us up for illness and self-sabotaging behavior that negatively effects our aging and well-being. Scientists estimate that only about 25 percent of the variation in human life span is determined by genetics. AAIA’s students are taught how to coach their clients to shift their consciousness and learn the mindset of longevity at any age. After just several days of regular (at home) practice of their custom designed proprietary age reversal change techniques (15 mins a day), clients typically report decreased anxiety, better mental clarity, more restful sleep, improved mood, and a host of other benefits without side effects. Focus and emotional balance is the key to performance in all areas. A person’s ability to focus and concentrate is hindered when stress and tension is carried in the body. This unique course also teaches the student how to increase their client's resilience and ability to deal with stress and mental clarity. As a by-product, decision making capabilities, focus, productivity, competency and IQ are also enhanced. Through your courses technology and teaching I can now instantly open a window inside my client's subconscious mind and guide them to move to a renewed level of youth, vitality and performance. I now have a fast, growing list of clients. Many, many Thanks! LEARN HOW TO PROVIDE A CLIENT A RENEWED, VITAL LIFE and MEANING!! Mindbody Reset Code—your body's "operating instructions" for interpreting your world, creating your sense of self, and setting your future. The MindBody Reset Code is your key to safely and successfully release your potential for a healthier, more youthful, productive, happier life. This game-changing certification program provides the Mindbody Reset tools and easy-to-follow steps to create aging, health and well-being breakthroughs for people to discover their new improved, younger self that will propel them forward to greater success in nearly every area of their life. The Institute's unique course provides scientifically-proven, proprietary, life transforming, methodology that helps clients rejuvenate their mind and body and maximize their performance and results. Teach your clients (in-person or via video call) easy to follow, proven, brain-mind-body change models based on the latest evidence based technologies and methodologies from Applied Cognitive Neuroscience / Neuropsychology. Your clients will be never be the same!! 1. First, is understanding the Brain-Mind-Body Science (why it works) necessary to practice successfully and educate the client ie; how the brain controls the aging process, how the brain-mind-body continuum functions, how the brain and body can rejuvenate itself and how the treatment program (using a user-friendly coaching model of delivery) will work for them. 2. Neuro Change Coaching Model. How to design the coaching steps in a typical treatment program -including how to measure/evaluate results..
3. The Neurocoaching Process -Application/Intervention. Students are taught how to use the Self Transformation Model of Change and coach a client through the easy to follow session steps. 4. User-friendly methodology. Students learn how to coach their clients to use the rejuvenating change tools ie; proprietary Neuro Xperiential X-ercises ™ -for the Brain and Mind. 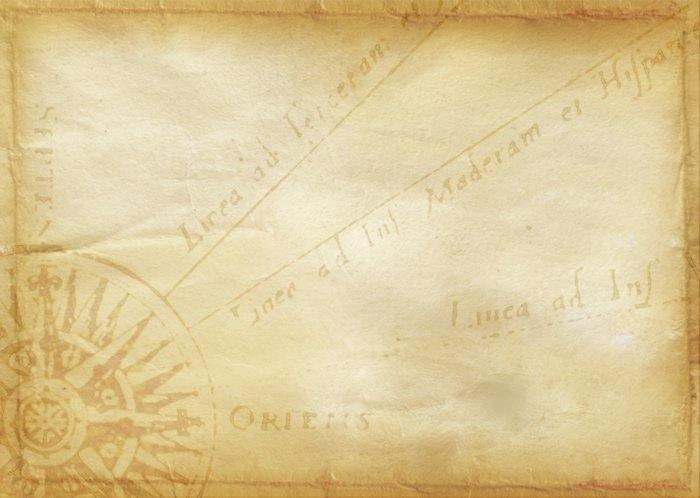 - Utilizing Neuro Metacognition X-ercises ™ (Deep level / subconscious Metacognition Role-playing incorporating Direct Visualization, Self-Dialogue, Positive Memory Reconstitution and Mindfulness). The easy-to-learn methodology combines the latest Neuroplasticity and Neuro Behavioral Change Methodology. Within just an hour's discussion and guidance the client is immediately empowered to begin resetting the relationship with their mind and body to transform themselves (mentally, physically and even spiritually). Students also learn how to empower the client to SELF-COACH themselves using a Neuro Xperiential X-ercise ™ (15 mins each day) especially designed to meet their specific change needs. 5. The Practice. How to establish a successful Anti-Aging / Well-being / Health and Performance practice eg; a) building, marketing and selling the service and, b) the client relationship. Note: The 'practice' can be public or inside organizations. Before the accelerated coaching process begins (ie; using the latest neuro-behavioral change models) the student is taught how to have a client first move into a 'meditative and mindfulness state'. This critical key (overlooked by old-school practitioners) prepares the client's brain-mind-body continuum for change. Course participants are shown how to teach their client to quickly and effortlessly achieve a deep level of clarity, peace and calmness that enhances their ability to engage in the change process that follows. Poise, concentration, emotional control, focus, and being in the “zone” are key to an enhanced state of well-being and excelling in any field. In today's increasingly challenging and competitive world people need to take their mental skills to the next level in order to continue to flourish and succeed. The Course's Neuro-Behavioral Coaching Models also help people from the age of 7 to 70 expand the limits of their brain’s performance. The emergence of brain science is generating a new breed of specialist anti-aging therapists. 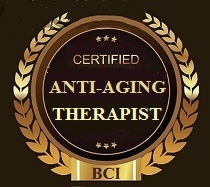 Harnessing new powerful, clinically proven technology, based on neuroscience and brain-based learning, a new bred of highly credentialed, Anti-Aging Therapists are able to quickly and easily help people of all ages and position. Employing a coaching delivery model, they guide their clients how to become aware of and use their brain-mind-body union, improving their level of age-performance by several years. Other benefits, beyond enhancing youthfulness include; quality of thinking, health and well-being. The results generated far surpass those of traditional anti-aging efforts that can be potentially dangerous to one's health and are certainly more costly and time-consuming. Transform the lives of people! -Understand how the brain-mind-body union allows us to stimulate physiological change..
-Learn evidence-based cognitive, emotional and neuropsychological rejuvenation strategies. -Develop change plans and goals that resonate with a person’s sense of deeper purpose. -Learn how to achieve sustainable, measurable physiological change. How to Build, Market and Manage an Anti-Aging Practice. How to design an Anti-Aging / Well-being Treatment program and help people regain lost youth and vitality. Why people cannot change themselves by just being aware (or even told) of why they should. "Buy-in” questions to help the client when making the decision to change. Learn why our brain is a product of what we do with it and the key to the rest of our body. How to help a client change their brain to become who they want to be. How to teach a client to drive new, ongoing, sustainable physiological change. How to build Strong Neural Pathways - the key to increasing mental and body change. Why Emotions are a key energizing and motivating force for longevity. How to Self- Regulate Negative Emotions. How to replace any maladaptive behavioral driver for a more positive one to generate a sustainable physiological outcome. How to enhance the client's mental skills to match and power their renewed physiology. The opportunity and need to build a Regain Lost Youth and Performance / Brain Fitness Program in every organization. Why an Anti-Aging Therapist doesn't need university degrees in psychology, counselling or medicine. - Estimated 40 hours of course reading and work -depending on the student’s available time frame and learning style. - No fixed starting or completion date. Automatically Receive Certification when you notify us that you have completed your Self-Study!! - No assessment or post-course supervision. No additional training hours is required as this is an invitational Program (via submission of the below Application Form). REMOTE COACH or In-Person or both. -and expand your client reach across your country…even to the rest of the world! Coaching your clients can be easily done from the comfort of your home with a video call to the client’s computer, tablet or smart phone. “The brain, mind and body can be retrained,” My Aging Coach said. People think it can’t, but it can. I’ve proved it. “Cognitive Neuroplasticity”is real. By using your self-coaching technique, taught to me by my coach, I have 200% more energy, peace of mind and a clearer mental focus. I’m a new, much better improved, much younger, happier version of myself. Thanks! Cognitive training can quickly and easily provide a gateway to the change process, however, it is the Neuropsychological Change Models taught in our course that delivers the lasting, measurable, positive physiological results. Traditionally brain / mind training programs focus just on cognitive training which cannot affect the brain-mind-body union. This approach only provides a modest boost to regular daily mental activities, cannot affect body changes and does not provide knowledge about yourself and how to self-coach yourself to higher levels of physical and mental performance and well-being. Today, the new field of cognitive neuroplasticity therapy provides us a brain-mind reset switch where we can stimulate neural re-growth to generate change in the brain-mind-body continuum that produces real, sustainable youthful changes. 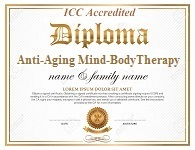 BONUS: Course graduates can also apply for a License to teach the Anti-Aging Therapist course in some selected regions. Not only does AAIA provide clients with a premium anti-aging experience through our pioneering student training systems, but we also offer qualified individuals a unique business opportunity in the booming anti-aging industry through a low set-up cost, high margin regional licensing program. For over 20 years, our parent Institute has provided world recognized certified courses and shown students how to build and grow a highly, successful coaching practice. To continue the successful migration of AAIA's courses around the world our preference now is to establish an ongoing, strong business relationship with a few, select, highly qualified and well-positioned graduate students / training businesses to become regional 'Strategic Partners'. To best support our existing global License Holders there is a restricted License Release of only 6 new territories per year. Depending upon the size of a country we award multiple licenses per country/region/city according to the size of the marketplace that a License Holder can service. Can you rewire your brain in one week and create a healthier, happier and better person? The answer is—yes. Your course proved it! All my clients remark how rejuvenated they feel and how relaxed and at peace they now are with the world around them. Most report feeling and looking at least ten or more years younger. All thanks to your online training course! From studying at a world-class institution, 98% of our students from 60 nationalities would recommend the course to a friend. "The educational experience is, one of the best I've ever had in my life, everything I needed was in the course. I’m from a small regional city, but already I am booked solid for most weeks." 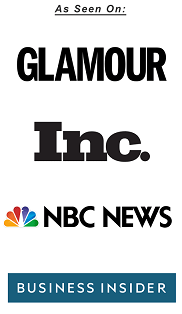 Raphael H.
NOTE: Dr Zeus's NeuroEx Clients refer international clients who do not wish to travel or be placed on a Wait List (currently 5 weeks) to a local regional graduate from the Anti-Aging International Academy. 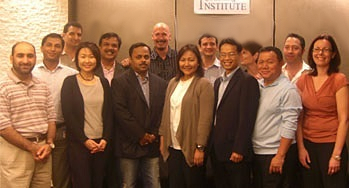 Certification by the world's leading coach accreditation body, the International Coaching Council (ICC) Board, involves confirmation that the course is world best-class and designed by educators who are world recognized experts in their field. Board accredited certification confirms the practitioner's expertise and knowledge in the coaching model of service delivery and elevates their position from other service providers. Graduates names are also listed on ICC's online, public Register. Note: This course focuses on the fields of longevity, life wellness and peak performance coaching. Only an appropriately-credentialed health care professional should work on medical or psychological disorders. ** Strictly Limited Number of Program Places Available!! SEMESTER CLOSING END OF MONTH. 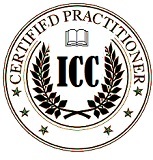 1) The ICC* restricts the number of Accredited Anti-Aging Therapy Certifications available via the Accelerated Credentialing Distance Learning Format. 2). We receive a large number of applications competing for a very small number of course places (we typically receive several applications per available place /date). To reduce the application processing time qualified applicants are now able to bypass the previous mandatory telephone interview process and have their application directly submitted to the Academies Section Panel for consideration. The Panel may request additional references or support material from an applicant to assist them in confirming their suitability. Step 1. Submission of your application to the Institute's Selection Panel for approval. Step 2. If offered a place course payment is required by bank wire or internet banking. Yes! #2 Regional Bonus -I also wish to apply for a free Post-course Mentoring session with Dr Zeus role-playing some example case studies with me. Due to Dr Zeus's time availability, this offer is restricted to the first enrolled student from a country per month. Value $us750. Note: Post-Course mentoring for the Online Course is not usually required as the Course contains easy-to-follow coaching instructions. 1. - Firstly, have you completed any of our other Courses? - Please complete below box. Maximum 2 Scholarships per country (including USA) per semester. -As a sponsor of the United Nations Foundation AAIA offers REBATES to businesses and sole traders who fund professional development, accredited training for positions in health and well-being care sectors. - New York, USA (Annual): June 21-23, 2019 -SOLD OUT. 2020 date yet to be set. - $US3,985.00 (covers course costs only). Class of 24.
a License Holder you are eligible to receive the discounted International Scholarship Course Rate. - Internally (inside my organization). - Externally (in a practice). What are your business goals in providing Neuro Coaching? Any additional information to support your application..